1940 - 1944, I think, rather than 1914. I would endorse this as a Second World War photo. Judging by the age of these men, many are probably Great War veterans. It would be of great interest to me - and many others no doubt - if their names could traced. If you can shed some light, please contact this website. We are busy sifting through all of the images, and will be uploading all comments we find on their reverse side. 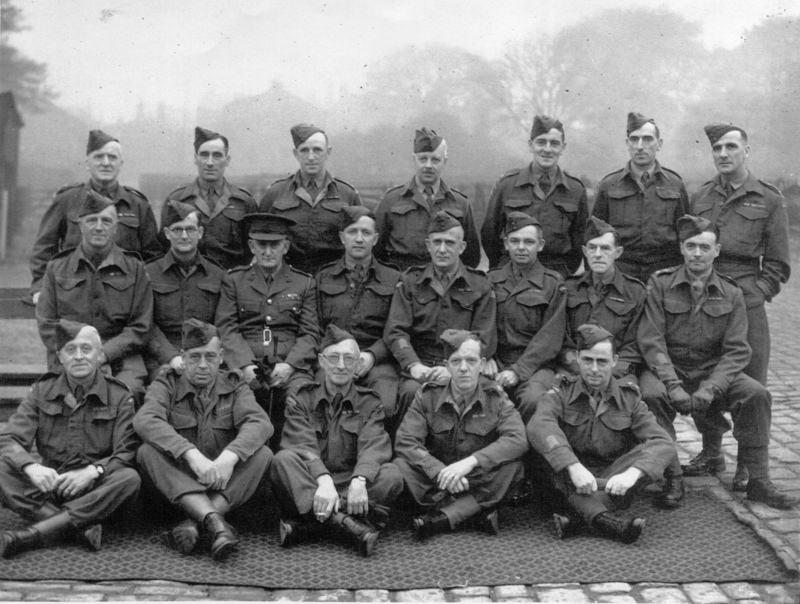 My Grandfather Patrick Horace Fennessy (born 1899) was a member of the Skipton Home Guard in World War II. I think he is the man, second from left on top row. Think a relative of mine is on here but difficult to tell for sure (I only knew him when he was a good bit older). Would it be possible to see a list of names so I can be sure? Yes, this is the WWII. The officer is my maternal grandfather, Richard Wood. I don't know much about his army career but he reached the rank of Major in the Duke of Wellington's Regiment and was at the Relief of Ladysmith in the Boer War.